Are you a Town Hall 7 in need of a pushing/trophy base? Then, I’ve got the perfect base for you! The Jackknife, TH7 pushing base, features centralized air defense and a hard to get to Town Hall. This pushing base will be able to defend against fellow TH7s, and also some Town Hall 8s! 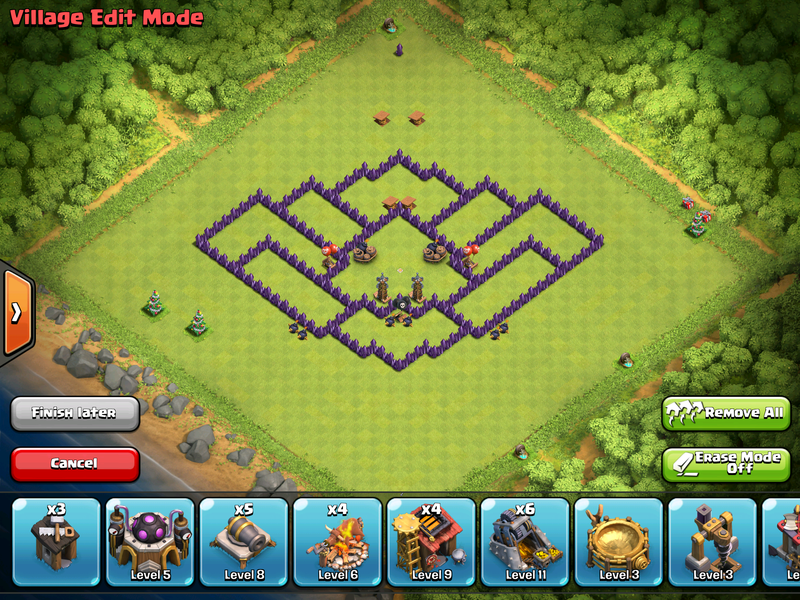 Thanks for posting town hall 7 war bases anti dragon . 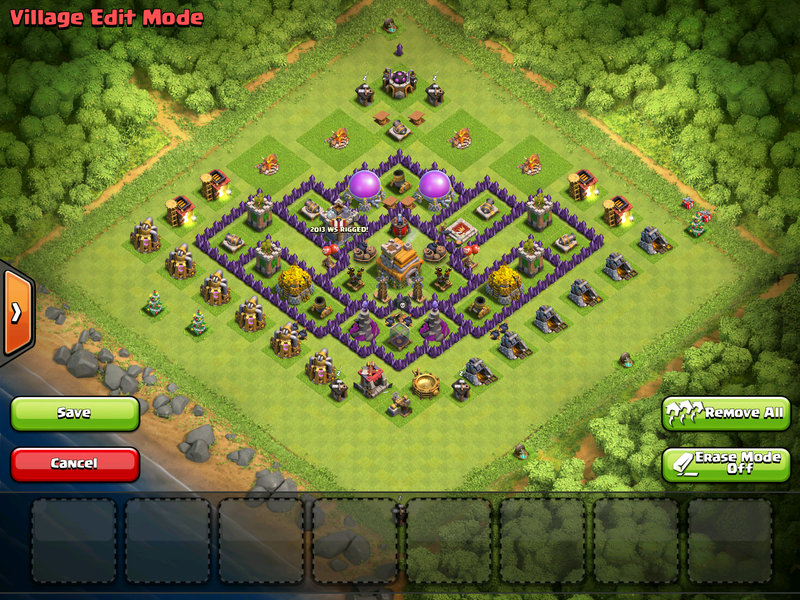 can u please design town hall 7 hybrid base . I need one deseparately. thanks in advance. I’ll try to get one out for November base design!